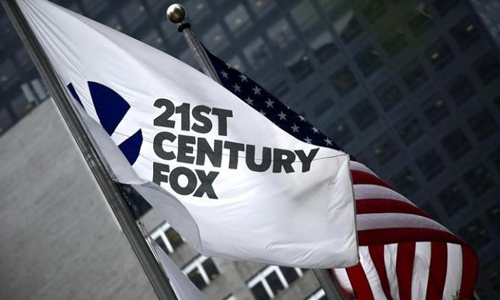 LONDON – A major shareholder in British pay-TV company Sky will vote against Twenty-First Century Fox’s $14 billion (11.13 billion pounds) takeover bid, the investor told Reuters on Sunday, while another said it is unhappy about the offer. Rupert Murdoch’s Fox offered 10.75 pounds a share in cash on Friday in its second attempt to buy the 61 percent of the business that it does not own, with Sky’s independent directors backing the latest bid. The shareholder, which declined to be named but said it was one of Sky’s top 50 stakeholders, described the bid as “far too low”. “We are voting against the deal if it comes out in its current form and we have told the company as such,” the investor said. A Sky spokeswoman declined to comment. The deal would give Fox control of a pay-TV network spanning 22 million households in Britain, Ireland, Austria, Germany and Italy. A second shareholder told Britain’s Sunday Telegraph newspaper that Sky’s directors should push for more. It “ought to be the start of the process, not the conclusion”, Alastair Gunn, a fund manager at Jupiter Asset Management, was quoted as saying. A representative of the firm was not immediately available for comment when contacted by Reuters on Sunday. Analysts at Citi characterised the offer as a “low-ball bid”, citing 13.50 pounds per share as a fair valuation.